Art Meets Science Meets Ethics: a Fishamble production, in conjunction with the Irish Council for Bioethics. Begotten not Made, a play-in-development, is the culmination of a national bioethics playwriting competition, during which an esteemed panel of judges awarded talented playwright Paul Meade a commission to the value of €11,000. This unique initiative presents an intersection between science and the arts and allows for the possibility of exploring challenging philosophical and medical themes in a theatrical form. Fishamble: The New Play Company is delighted to announce that the Jim McNaughton / TileStyle Bursary for Commissioned Artists 2009 was presented to Paul Meade commissioned by the Irish Council for Bio-Ethics. The National Bio-Ethics Playwriting Competition was developed by The Irish Council for Bio-Ethics in partnership with Fishamble: The New Play Company in order to establish a new link between science and the arts. The competition allowed for the exploration of challenging philosophical and medical themes in a theatrical form. It received over 120 entries which were submitted by amateur and established writers from as far afield as China and Brazil. 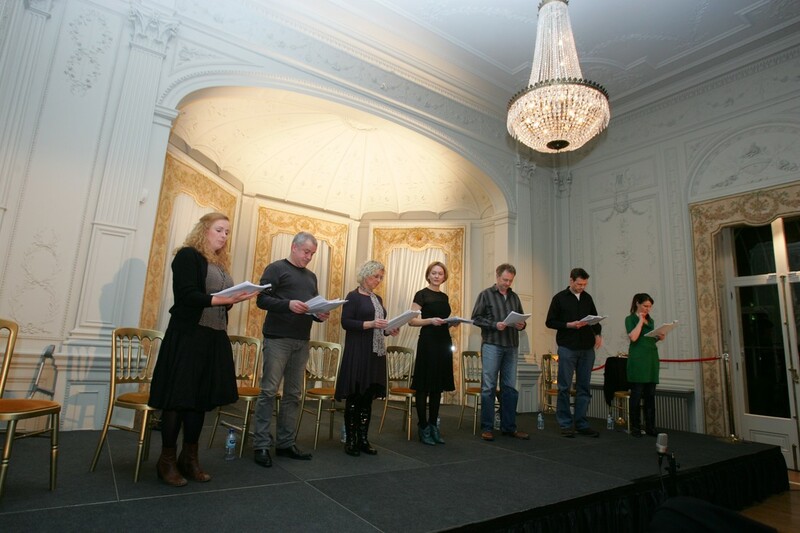 In January 2009, a first reading of Begotten Not Made by Paul Meade and directed by Jim Culleton was held at Farmleigh in Phoenix Park, Dublin, for an audience from the spheres of science, philosophy, the arts and legal professions. Further readings of the play were given for the Bar Council of Dublin and for TDs at Leinster House, and it is hoped to develop the play into a full production. The play consists of three interwoven stories. The first, relates to a successful couple who are struggling to conceive a child through IVF; the second is the story of a married couple who are travelling to Switzerland for an assisted suicide; the third strand tells the story of a brother and sister, one of whom was born as a ‘saviour-sibling’ for the other, for the use of stem-cells.